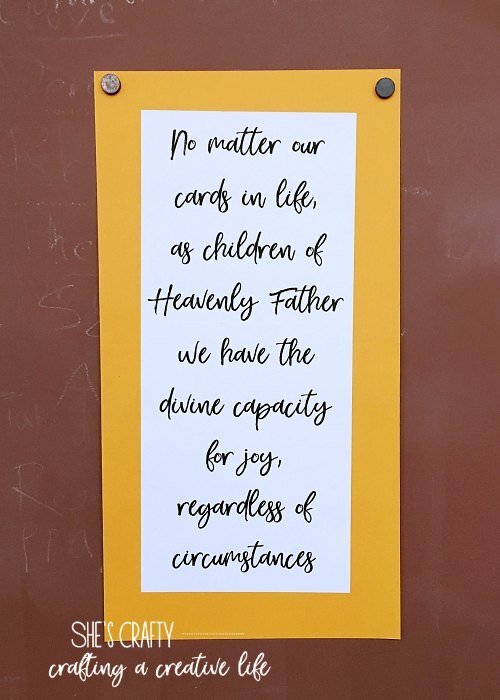 in Relief Society at church on Gratitude. I loved researching for this lesson. I found so many great things that I want to share!! It can be an overused word or phrase. is because Gratitude is VERY powerful. Sometimes in life we don't like the cards we are dealt. Some haven't been dealt the children cards. Some haven't been dealt the marriage cards. Some have been dealt illness cards. And some are even dealt death cards. with the cards in another's hand. we can choose to be grateful. we will have in 2 months, 2 years or in 10.
even if our life circumstances aren't perfect? we often struggle to practice it consistently. So can we have more Gratitude? especially in the world we live now. and all sorts of issues. busy schedules and that's a recipe for a negative mind! in ourselves and in the people around us. You can train your mind to see the good! Remember that there is always something in your life that's right. We are inundated with information. or the big fight they got in with their husband last night. We only see the pretty and polished stuff. or as rich as that person. We wish we had it as easy as someone else. If we let it, those thoughts can lead to feelings of inadequacy. being Grateful for the hand we have! Having a gratitude mindset isn't easy. of noticing and complaining about everything that's wrong in your life. like and celebrating it for what it is. You will have to retrain your brain. the things you are grateful for. Even if you've had a bad day. Even if you are exhausted. write down 3 things you're grateful for! or the beautiful fall scenery outside. The secret of your success is found in your daily routine." 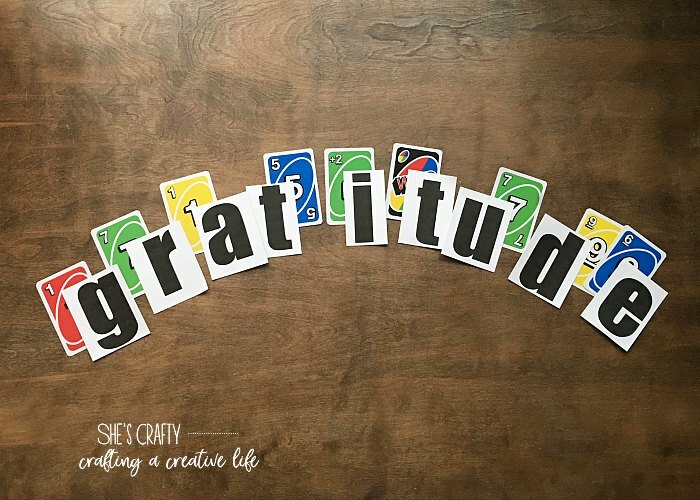 Write down what you are grateful for every day! you're always waiting for something to happen. "I will be happy when we don't have any debt." "I can be happy once I heal from this illness." 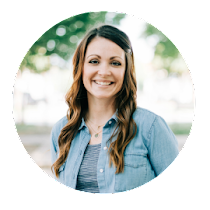 "I will be happy if my kids just act the way I ask them to." You are putting your happiness power outside of yourself. Life is never going to be 100% perfect. in the circumstances you are in. And that is being grateful! out of serious mental or physical illness. of ourselves and the situations we are in. These are the handouts I made for my Relief Society lesson. I was spiraling down in a negative way. I was having a hard time seeing all the good in my life. I was angry, grumpy, sad, frustrated and unhappy. to help me stop concentrating on everything I didn't have. While I'm not 100% happy all of the time now- no one is. I am overall a much happier person. I still get down, angry, grumpy, sad and frustrated. But I know I have the power to make those feelings temporary. I have the power to be happy! 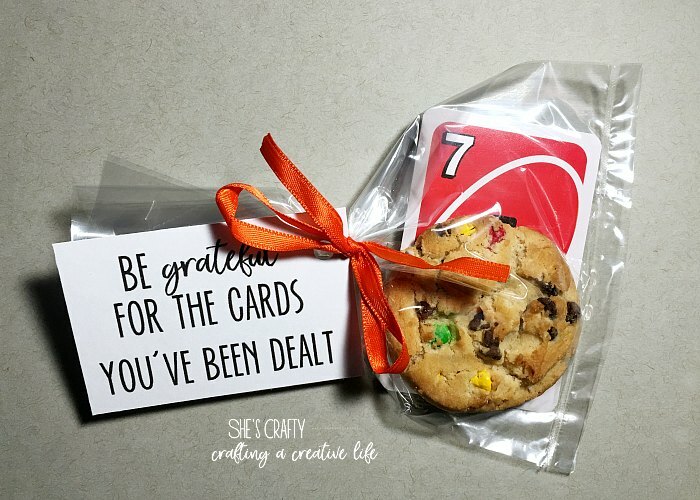 for the cards in your hand! This is an awesome post and so timely. 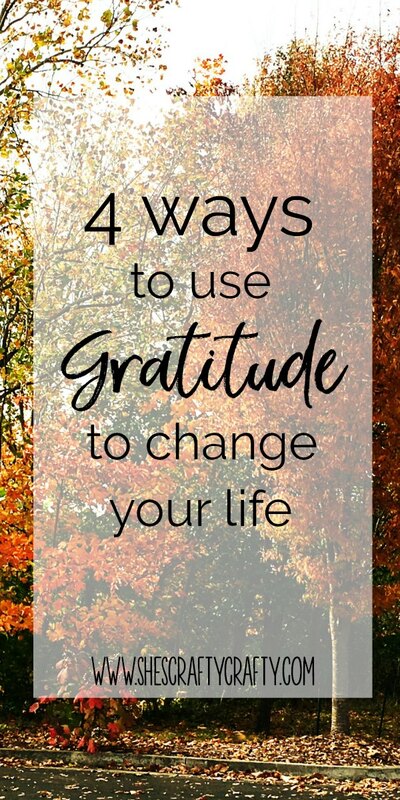 I hope you don't mind, but this post spoke to me and I posted a link to it on my blog (https://barefootmom3.blogspot.com/2017/11/gratitude.html). I'm hoping it speaks to some of my readers too. Thank you for such an insightful post. Thanks so much Debi! I don't mind a bit! Thank you for the link and for sharing!! Great post. I've been writing down the positives all month. It definitely makes you appreciate the day a little more!